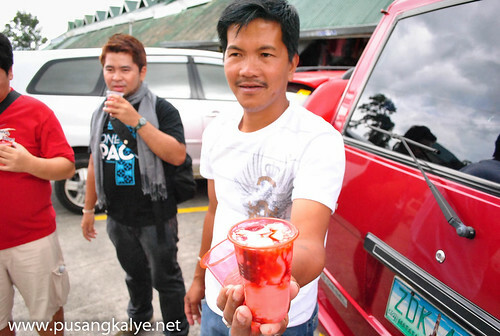 STRAWBERRY TAHO from Baguio anyone? 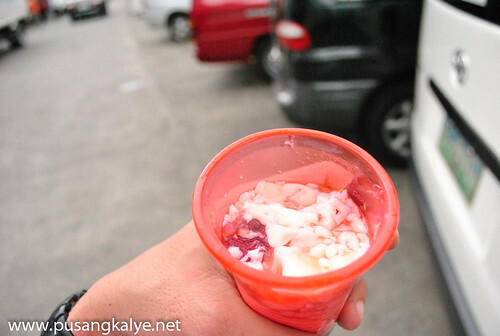 So what's so special about this?Same base but they use strawberry syrup instead of vanilla.Plain and simple.Well, for a change.And it tastes good,I mean,there are instances wherein we try hard to incorporate local taste to some popular food ayt?But it doesn't add up all the time.Strawberry taho is not one of these trying-hard-to-be-locally-unique food.And I love the red accent too!If for anything, at least in perception, color ---in same manner with smell-----do play a role in affecting our perception of a good taste. 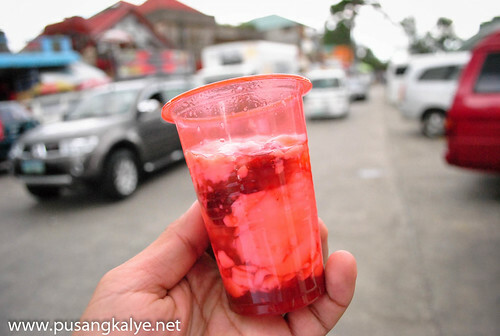 How much?OMG.I think I forgot.I think I bought mine for 20 pesos in Mines View.Hope my memory served me right.hahaha.STRAWBERRY TAHO from Baguio anyone? parang mahal pag 20? hehe!